Maria is known for her vibrant, contemporary paintings on traditional Fijian barkcloth and pure silk. 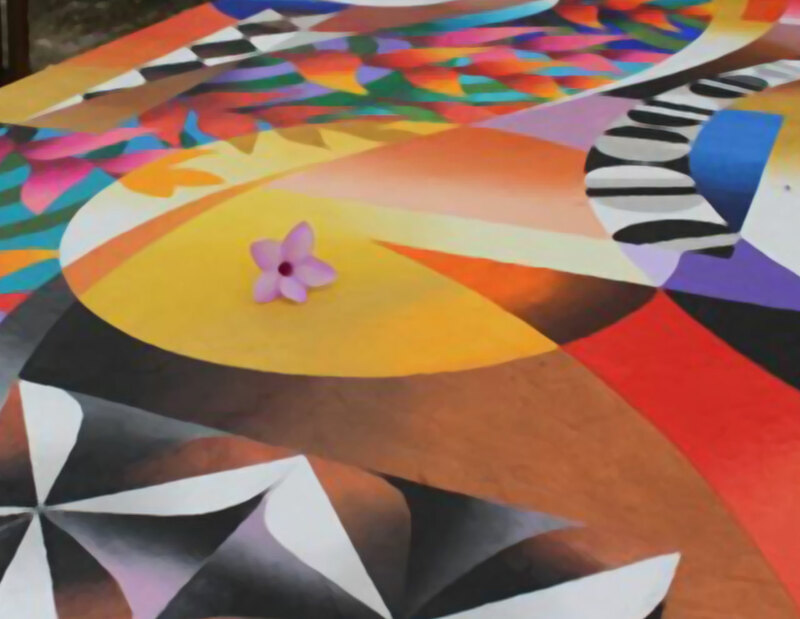 The natural environment and unique living culture of her Pacific island home provide a diverse source of inspiration to this award-winning artist, who has lived and worked in Nadi, Fiji, for the past twenty five years. Maria’s work evolves out of an unorthodox perspective – that of a footloose traveller from a very different part of the world, unexpectedly growing roots in Fijian soil, surrounded by an extended indigenous family with a rich cultural heritage very different to her own! 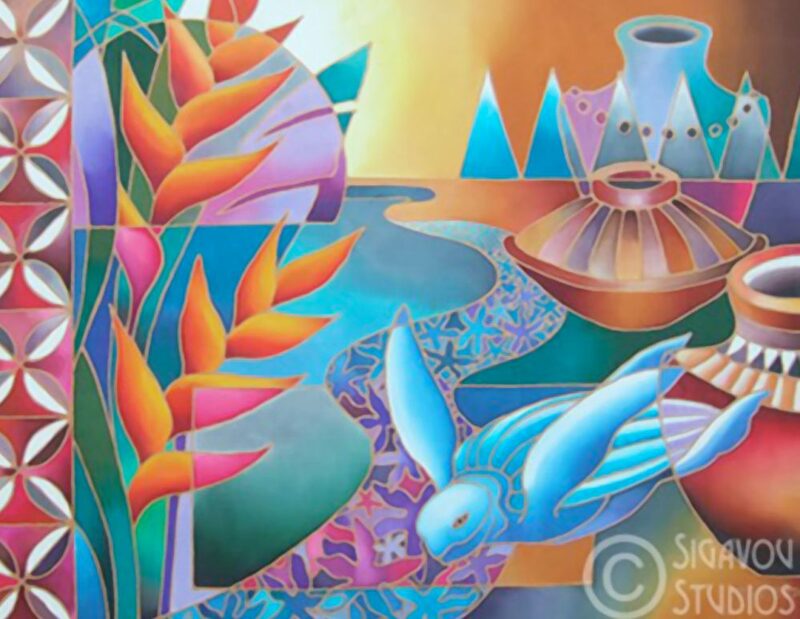 Her art bursts with joyful colour – vibrantly celebrating the dramatic landscapes, tropical flora, fauna and lifestyles of the developing island nation that has become her home. The rhythmic, geometric patterns and earthy tones of Fiji’s ancient barkcloth art find an echo alongside the dynamic colours and abstract forms that characterize Maria’s paintings. There is an unmistakable theme running through them all: her love of life in Fiji, with all its quirkiness, beauty, and challenges – and her deep respect for an indigenous culture that is facing rapid erosion as the forces of 21st century globalization take their toll. Much of Maria’s current work is created in acrylics on traditional barkcloth, crafted by women from her extended family living on the island of Vatulele. An integral part of Fijian culture, this papery material is made from the inner bark of tropical mulberry trees. Maria’s other medium of choice is dyes and resist on white habotai silk, though she is known to experiment with clay, cement plaster, and glass, and mixed media. Over the past two decades, Maria’s paintings have won a string of awards at local and national exhibitions. Her art features prominently on the walls of resorts and corporate offices around Fiji, as well as in numerous private collections in Fiji and abroad.